A tantalizing, compelling, and learned look into an under-examined period of history that bridges the experiences of African-Americans, Mexicans, Afro-Mexicans, Native-Americans, and Anglo-Americans alike. Few other books have so keenly explored what border life may have been like in the years leading up to the Mexican-American War. 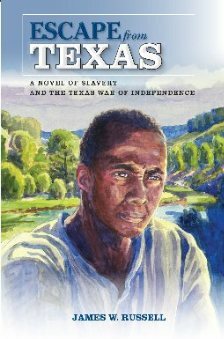 Certainly, no novel has so astutely captured the mindset of black slaves and their complicated relationships with Mexico during this era. This is an unusual piece of fiction, both for its tight historical accuracy and the scope of its imagination. This is a gripping and wonderful narrative, packed with surprises, as well as new lessons in history. A Tuskegee Airman in Mexico.